This loan can be used to cover costs associated with taking board examinations, traveling or interview, and moving for your residency. This information is for borrowers who are pursuing or have received a M.D., D.O., D.D.S, D.M.D, D.P.M, D.V.M, or V.M.D. degree. Borrowers must be enrolled at least half time in their final year of study at a participating allopathic, osteopathic, podiatric, dental or veterinary medicine school, or have graduated from one within the past 12 months. Borrowers must be U.S. citizens or U.S. permanent residents, if the school is located outside of the United States. Non U.S. citizen borrowers who reside in the U.S. are eligible with a creditworthy cosigner (who must be a U.S. citizen or U.S. permanent resident) and are required to provide an unexpired government-issued photo I.D. to verify identity. Applications are subject to a requested minimum amount of $1,000. Current credit and other eligibility criteria apply. To participate in the Residence and Relocation Loan program, veterinary medical schools are required to be accredited by the American Veterinary Medical Association, dental schools are required to be accredited by the American Dental Association, medical schools are required to be accredited by the Liaison Committee on Medical Education or the American Osteopathic Association’s Commission on Osteopathic College Accreditation, and podiatric schools are required to be accredited by the Council in Podiatric Medical Education. must be a U.S. citizen or U.S. permanent resident) and are required to provide an unexpired government-issued photo I.D. to verify identity. Applications are subject to a requested minimum amount of $1,000. Current credit and other eligibility criteria apply. 1. Although we do not charge you a penalty or fee if you prepay your loan, any prepayment will be applied as provided in your promissory note: First to Unpaid Fees and costs, then to Unpaid Interest, and then to Current Principal. 2. 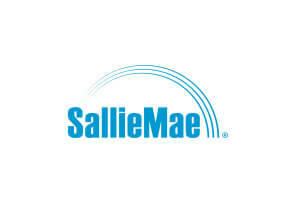 Borrower or cosigner must enroll in auto debit through Sallie Mae. The rate reduction benefit applies only during active repayment for as long as the Current Amount Due-Designated Amount is successfully withdrawn from the authorized bank account each month. This benefit may be suspended during periods of forbearance or deferment available for the loan. 3. Interest charged starting at disbursement, while in school, during the applicable grace period of either 36 months after graduation or nine months after withdrawal from school, or attendance falling below half-time status, and until your loan is paid in full. When you start paying principal and interest, any Unpaid Interest will be added to Current Principal, increasing your Total Loan Cost. 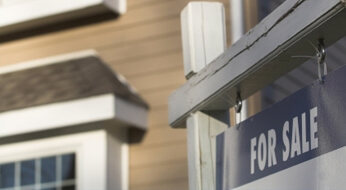 Variable rates may increase over the life of the loan. Advertised variable rates reflect the starting range of rates and may vary outside of that range over the life of the loan. Advertised APRs assume a $20,000 loan disbursed at the time of student’s graduation from school. 4. Requests must be received in writing. Interest Only payments will not extend the loan term. Interest Only payments increase the Total Loan Cost and monthly payments after the Interest Only payments will be higher than they would have been without it. Sallie Mae Residency and Relocation Loans are intended to cover expenses not included in your school’s cost of attendance. PhysicianLoans is not the creditor for these loans and is compensated by Sallie Mae for the referral of Residency and Relocation Loan customers. © 2019 Sallie Mae Bank. All rights reserved. Sallie Mae, the Sallie Mae logo, and other Sallie Mae names and logos are service marks or registered service marks of Sallie Mae Bank. All other names and logos used are the trademarks or service marks of their respective owners. SLM Corporation and its subsidiaries, including Sallie Mae Bank, are not sponsored by or agencies of the United States of America.